A simple traffic violation turned into a major ordeal on September 19, 2017, leading to multiple charges for a Newark man who led Harrington Police on a short chase on South DuPont Highway. According to Channel 47 WMDT, the accused drove off as he was being detained by police for using a cell phone while driving. Authorities pursued the driver and were eventually able to stop him in Felton, DE, at which point they took him into custody; he was later released on bond. The offenses include a mix of traffic violations and criminal charges, including Driving Vehicle While License is Suspended or Revoked. The penalties for a conviction are severe, so it’s important to understand how Delaware law works for the offense of driving on a suspended license. A range of other circumstances. 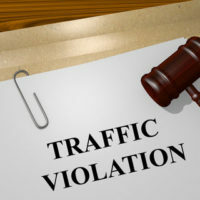 Once your license is suspended, it becomes a criminal offense to operate a motor vehicle; in other words, though the offense is related to driving, it is not a mere traffic violation. If you are convicted of driving while under a license suspension, the penalties depend upon whether you have a prior history of the same offense within the last three years. First Time Offender: A judge may sentence you to 30 days in jail and a fine of $500; however, the law allows a court to give you up to six months’ incarceration and a maximum fine of $1,000. If you have a prior DUI or other driving-related conviction, the fine is a minimum $600. Subsequent Offenses: Your mandatory minimum sentence includes a $1,000-$4,000 fine, plus a jail term of 60 days to one year. In addition to fines and jail time, you must still take action to reinstate your driver’s license after the suspension period expires. Your privileges are not automatically returned. There are fees for reinstatement and you must satisfy all requirements designated by the court, such as completion of a driver improvement or DUI course. You face fines and potential jail time for driving on a suspended license, but you also face an uphill battle when trying to reinstate your driving privileges. The best strategy for fighting the allegations starts with hiring a Delaware criminal defense lawyer that has specific experience in these types of cases. Attorney Michael W. Modica has represented many clients facing driver’s license suspension charges, defending them in court and assisting them with reinstatement. For more information, please contact our Wilmington, DE office. We can answer your questions or set up a free consultation to review your case.